We're Michelle and Sara, the partners in grime here at BM Headquarters. We are a small but awesome house cleaning company based in Bear Mountain, Victoria. The Westshore area including Bear Mountain, Langford, Highlands, Colwood and Victoria. Your home and happiness! Okay, we can't change your life, but we can change your sheets, and sometimes that's enough to make you smile after a long day of work. Why do your housework when can take of that for you. Top notch professionals are the aim of the game so we have a very high focus on staff training, to ensure you get a great service. Attention to detail is our obsession as is efficiency so you can rest easy, your home is in great hands. 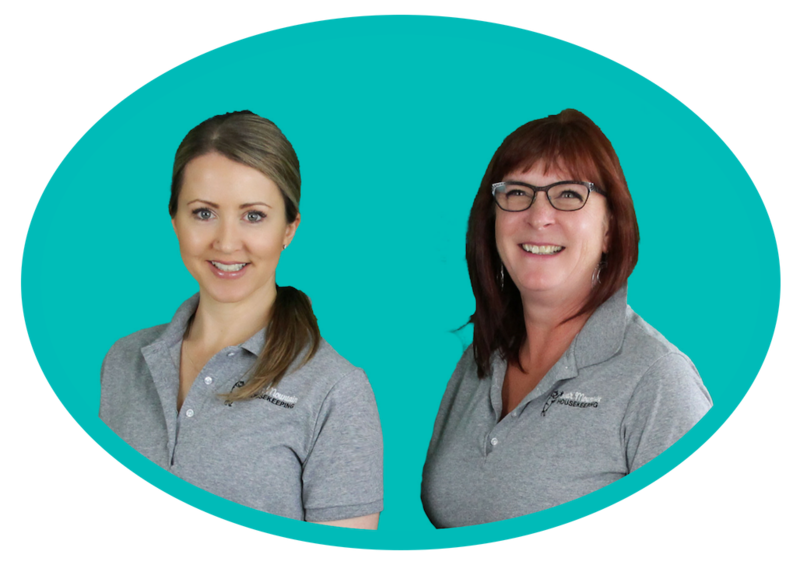 Every cleaner is trained extensively by Michelle and Sara, and each cleaning booked will have either Michelle or Sara (or both!) in there doing the cleaning. You get a better level of detail when the owner of the business is doing the work! We love our staff...love'm to bits! So we like to take extra special care of them here at Bear Mountain headquarters. Building a 'Care Culture' within the company means; actively building great relationships within the team, providing exciting incentives and above industry pay. Thankyou!!!! I just wanted to say a big thanks for the clean you recently did. I've had so much trouble finding a good cleaner. It was so nice coming home to a clean house after a long day. I'll definitely be recommending you!